If you were a pilot, you wouldn’t fly blind. So if you’re hiring, whether in a recruiting or hiring manager role, you’re going to need to take heed of recruiting metrics to make the right decisions as you build teams. Data and metrics help you hire (and fly eyes wide open) by creating the correct processes whilst also helping recruiters get better at their own craft. But sometimes the mere mention of data and metrics can seem daunting and scary — especially to recruiters, many of whom seldom embrace the subject, often avoid it, or just don’t know if the metrics they’re using are effective and relevant. Yet, in reality, recruiting metrics are very simple and extremely empowering. This subject actually takes me back to my first recruiting job at a recruiting agency. I had to compete against a group of very talented recruiters and the way to do that was to embrace the power of data for my own self-improvement. At that time my only source of information were my LinkedIn response rates, i.e. how many people were responding to my outreaches. Response rates affected my phone screens and my close rates, so when I noticed that my response rates were low I used it as an opportunity to craft better emails by A/B testing content and subject lines and targeting a larger number of qualified candidates. That’s when analyzing and iterating what I was doing became a part of my recruiting process throughout all of my subsequent positions, leading me to build a repertoire of metrics that were helpful for people like me — recruiters, teams, and companies looking to create effective talent strategies. A recruiter has a lot of ownership over their role, especially when it comes to sourcing. Sourcing is an individual power that gets better over time even though it fluctuates between positions. That’s why recruiters need to hold themselves accountable for their own sourcing prowess by analyzing their own performance. This should happen before a boss dumps overarching performance goals on your desk. Sourcing can be nurtured using simple sourcing metrics: the easiest data for that comes from LinkedIn (if you’re using LinkedIn for outreaches) and email response rates. The caveat to any sourcing strategy is recognizing that different roles will have different response rates because some are simply a bit easier to source for than others. Some roles, like engineering, will have lower response rates than others. But that doesn’t mean you should just take your response rates at face value. Getting ⅓ of your outreaches to respond (in a polite decline or with interest) is a goal you should aim for consistently across all roles. So how do you do that? Track your progress. Track your outreaches in a LinkedIn Project or an excel sheet and evaluate how many people you reached out to, who responded, and who became active. If that’s not something you’re doing, start now. Create outreach goals. Even if your boss does (or doesn’t) give you a certain outbound number you need to hit, give yourself a number. Tell yourself to reach out to at least 20 qualified candidates a day (with very personalized outreaches) and wait a week to see how those outreaches perform. Personalize your outreach. No one wants to get spammed. Create templated content but weave in personalized information into that outreach. People are more likely to respond when you mention something personal about them. Even if they decline, you have a better chance of connecting them to your network for future roles down the line. Create follow up goals. Once you’ve exhausted a certain number of qualified candidates with personalized outreaches do a less personalized follow up to increase your chances of response. A mass generalized follow up to a personalized one is good in this instance. Alternate between email and LinkedIn. If you’re simply using LinkedIn and not getting results maybe you should try another outreach channel like email. Services like contactout.io will help you find emails for free. Try doing a LinkedIn outreach one day followed up with an email outreach another day. A/B test your content and your subject line. If you’re sending the same email and not getting results, try making your content shorter or longer. Talk with a hiring manager or with a person who already has the role you’re hiring for and try to figure out what resonates with them. Become a marketer and get better at your subject lines and see what performs better. Try this for a certain pool of outreaches and evaluate. Once you have all of this in place aim to work towards having a ⅓ response rate per role where 50% of those responses become active candidates. So if you reach out to 100 people, aim to have 33 of them respond, with 16 of them being interested in the opportunity. Now, out of those 16 people probably 60%, or 9, will be qualified enough to move to next steps with the company (some may drop off with time and others won’t be culture or skill fits after your initial phone screen). That means out of 100 outreaches your hope is that 9 will move onto an interview process with a hiring manager. You might not hit these numbers right away (and hey, you might exceed them!) but if you analyze your outreaches and improve how you’re contacting people, you should get closer and closer to exceeding them. Sourcing is one part of a recruiter’s job, but getting candidates through the interview process to an offer is another important part. Let’s say you did your 100 outreaches and now you have 9 people speaking with a hiring manager. You need to study how well you qualified those 9 people whom you passed on using Funnel Analysis. Funnel Analysis (FA) helps you evaluate how well your candidates are performing throughout the interview process. Application Stage to Recruiter Screen: If you have a high bar, it means your application to recruiter screen conversion should be low at about 20–30% (you should be rejecting most inbound applicants). This doesn’t apply to sourced candidates. Recruiter Screen to Hiring Manager Screen: A recruiter screen to hiring manager screen conversion should be a bit higher since the recruiter is able to qualify relevant resumes before they get on the phone. Say that’s 60–70%. So 60–70% of people whom the recruiter speaks with are passed to the next stage — the hiring manager call. Hiring Manager Screen to Onsite: A hiring manager screen to onsite ratio shouldn’t fall below 40%. If it does, that means the recruiter is letting too many unqualified candidates through the process whom the hiring manager is rejecting. Onsite to Offer: An onsite to offer ratio should be high as well because you hope that by the time there’s an onsite, you’ve qualified candidates pretty well. Your pass rate shouldn’t fall below 50%. If your typical funnels look different than this there might be something wrong with the interview process. In fact, Funnel Analysis is a good way to recognize problems in the process. For example, if the conversion rate from recruiter screen to hiring manager screen is high but the conversion rate falls below 40% from hiring manager screen to onsite, that might indicate that the recruiter is letting in too many unqualified candidates or the recruiter and hiring manager aren’t on the same page. Bottlenecks in the funnel indicate a need for recalibration with the hiring team or a tighter qualification process on the part of the recruiter. A big drop in the conversion rate might also indicate that candidates are dropping out of the process, which is another indication that something isn’t working. Usually candidates tend to drop out for several reasons: there are too many stages or too many projects, a poor candidate experience, or misaligned expectations about timing. So let’s go back again to those 8 candidates the recruiter passed along to the Hiring Manager earlier. Let’s do a Funnel Analysis for that process. Something might happen where 20% of those invited to an onsite will drop off, but this still would be a healthy funnel. So let’s say only 3 people come onsite, then we’re likely to give an offer to 1 of them. **So if you want to have 10 onsites, you’ll need the hiring manager to speak with at least 20 high quality candidates. That means (if your only channel is sourcing and not inbound) you’ll need to reach out to at least 200 extremely qualified people via sourcing outreaches (if you’re aiming for a ⅓ response rate where 50% of that ⅓ become active). We’ll talk about the offer acceptance rate in the next section and try to understand how many of those extended offers should become hires. This metric is pretty straightforward — did the recruiter and the company hit their quarterly/annual hiring objectives? What were the projected hires that were needed in a certain quarter/year and how many of those were filled? These outcomes are influenced by several factors on the recruiter’s side as well as the company’s side. For example, executives might realize that they don’t need a certain role or end up opportunistically hiring for a different one and close a req or two. In other instances, new reqs might be opened in the middle of the quarter. Nonetheless, understanding how well a recruiter or a recruiting team performed against the company’s hiring objectives is important. If the recruiting team hit their objectives that’s great. It’s an indication that things are working and the interview and hiring processes were constructed effectively. Also, this indicates that the company budgeted and planned headcount well. *the recruiter or recruiting team need more resources in order to achieve their goals and they’re understaffed. When we analyze what went wrong with this metric, we can start by evaluating which roles weren’t filled and look at possible causes. Did the non-filled roles vary by department? Does a Hiring Manager have something to do with it? Are these roles traditionally harder to fill? Is the recruiting team big enough to hit these objectives? What other resources (agency and otherwise) could the company use to achieve the hiring goals? Now that we’ve looked at hiring objectives, we can dive deeper into this metric by looking at Time to Fill and Time to Hire to help us answer some of our questions. Most individual contributor roles, like engineering, take 2 months to fill. Other roles might be a bit faster and on average should hover around 45 days (Customer Success Managers and Sales Development Reps might only take 1 month). and Executive roles can take upwards of 3 months (or more). Time to hire is a bit different than than Time to fill. Time to Hire measures how long it takes a candidate to go through the interview process once they become active with the company. This is an important metric to keep low because the faster you move a candidate through the interview process the more likely you have a chance of closing them. A candidate should on average spend no more than 20 days in the interview process and no more than 28 days if they’re an engineering candidate. If the process is longer than the numbers stated above, then the company has bottlenecks that need to be addressed. Either someone on the interview team is too busy to get scheduled on the calendar, the hiring manager isn’t moving fast enough on candidates, or there are too many unnecessary onsites or projects and the entire process needs to be shortened. Time to Hire is a great indication whether and where the interview process needs to be improved. Source of hire helps understand where your hires are coming from and helps in budgeting and planning for a recruiting team. Some roles can be traditionally filled with inbound while other roles are going to be mostly outbound (talking about engineering roles here). So it’s important to understand where your hires are sourced. You eventually want to wind down your external agencies and increase your outbound and referrals. But even if you use agencies, the source of hire can tell you 1) how much you are spending on recruiting and 2) which agencies are the most effective at getting you qualified hires. If you have a recruiting team and their outbound efforts are low you might want to refocus their energy on outbound. Lastly, if you aren’t getting many referrals into your company you have to evaluate whether people are happy enough to work there and refer their friends. Referrals are a good indication of company culture and the underlying ENPS, employee net promoter score. Source of Hire helps shine light on what you’re spending too much money on and whether the timing/spend justifies the need to grow the recruiting team. But we’ll get to recruiting teams in just a bit. Now that you’ve done all of the hard work as a recruiter and created an amazing process that gets candidates to the finish line, how many candidates accept your offers? The Offer Acceptance Rate is the number of offers accepted divided by the number of offers given. A low offer acceptance rate indicates a problem, especially since — at that final stage — candidates have gone through a long interview process and have been vetted by the company and should have had enough time to vet the company in return. What should your Offer Acceptance rate be? Getting to a 70% Offer Acceptance rate should be the goal. If you have 5 offers, 3 of them should be accepted. Is the compensation for this role set correctly? Were the candidates qualified effectively from the start (against the existing salary and role) to justify their progression forward in the process? Did someone have a long commute and you decided to overlook it, so by the time the offer stage came around they fell through? Did you fail to talk about compensation earlier on? Did you sell the role effectively from the beginning? Who is closing the candidate? Are they selling the role and company ineffectively in comparison to the other people involved in the interview process? Did you move the hiring process quick enough to be competitive against other offers? Is your Time to Hire too long? Did you identify where else the candidate was interviewing so you were prepared to negotiate against those companies during the offer stage? Lastly, did the candidate have a good candidate experience? Was the interview rushed or pushed too quickly? Will this candidate, even if they’re not hired, refer other people to your company as a result of their experience? Now that you have metrics you can use to evaluate yourself as a recruiter and as an organization, how do you evaluate recruiting teams and the individuals on those teams effectively? By combining the tools you have from above. If you have a certain number of hires you need to make in a quarter look at the Time to Fill on those roles and distribute those roles across your team with effective timelines. How many roles can a recruiter handle? That depends on the types of roles. Some roles, based on their Time to Fill numbers, are easier to fill than others so you can score roles by difficulty levels and then distribute them in such a way that all recruiters have the same score that they’re handling. That means some recruiters have less roles but they’re working with harder-to-fill positions. Other recruiters might have more roles but they’re working much easier to fill positions, evening out the score. So how many recruiters do you need? That depends on the overall company size, hiring plan, and difficulty of roles. This will vary on a case-by-case basis. But let’s say on average one recruiter (without agency help and with a mix of roles) can bring in 20 people into the company a year. That’s five hires a quarter. That means if you have 100 hires you need to make in a certain year (and are foregoing agency help with the intention of continuing to scale after that), you need at least 4 recruiters at the company (3 recruiters and 1 manager who functions as a player and coach). This could be a combination of full time and contract help. In addition to that, to help manage the process, you probably need at least 1 recruiting coordinator on that team from the get go. In fact, when you’re hiring more than 10 roles at a time, you’re long overdue for a recruiting coordinator. So how do you evaluate individual recruiters and their performance aside from the number of hires that they’re bringing in? I mentioned previously that some recruiters with more difficult roles might bring in fewer hires than those handling easier roles. How do compare apples to oranges? Score their roles based on difficulty (engineering roles are going to be more difficult than finding sales development reps) and create individual hiring metrics (aside from team hiring metrics). Give recruiters the resources that they need to perform effectively. Invest in LinkedIn Recruiter, Entelo, etc to make sure that they have all that they need to find candidates effectively. Get into a good habit of training the team (if they’re also sourcing for their positions) on how to evaluate themselves by using their own metrics to improve and iterate. Help budget their time effectively. Make sure they’re putting in good time on sourcing instead of scheduling and managing candidates. 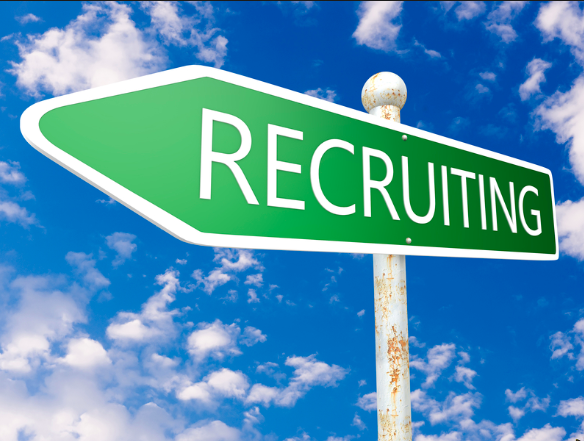 Invest in a recruiting coordinator earlier on (even before an additional sourcer/recruiter if you’re a team of one). That’s a wrap! And certainly there are many variations on what the goals should be for recruiting teams and individuals, differing greatly from my recommendations. But, hopefully, some of these suggestions inspire you to think about the metrics that are important and useful to you so that you feel more empowered and in control when it comes to recruiting. That way you can pilot your plane with eyes wide open whether you’re flying your own recruiting plane or managing a whole fleet! Contributed by Lena Vayn Holdsworth, Head of Talent at Javelin Venture Partners.